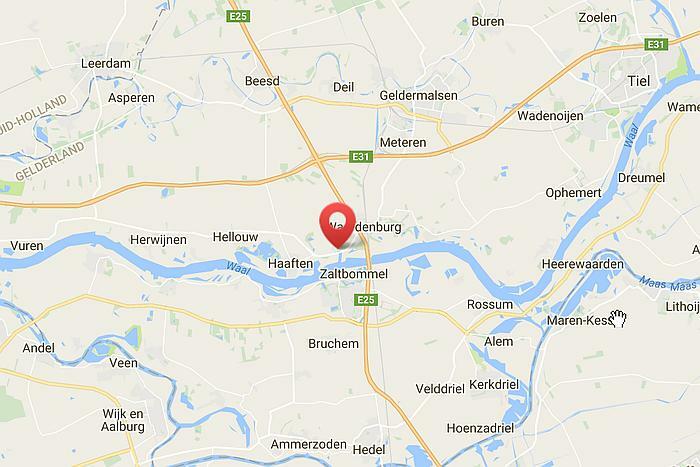 De Heeren van Tuil is a Bed & Breakfast in the Betuwe area, located in a listed farmhouse dating from 1720. Your hosts – Willem and Joost – both enjoy the good life. Stay with us and be thoroughly spoilt. 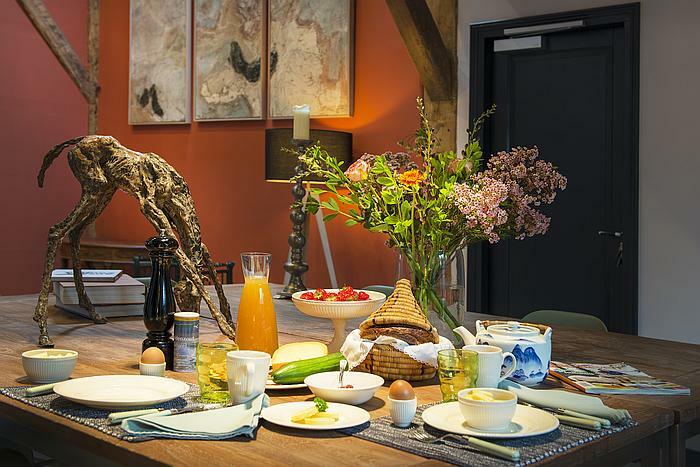 Sleep in the most comfortable beds in the Netherlands and enjoy a superb breakfast every morning. Relax in the orchard with a drink always within easy reach. Recharge and de-stress whilst enjoying privacy and the personal touch of your hosts. 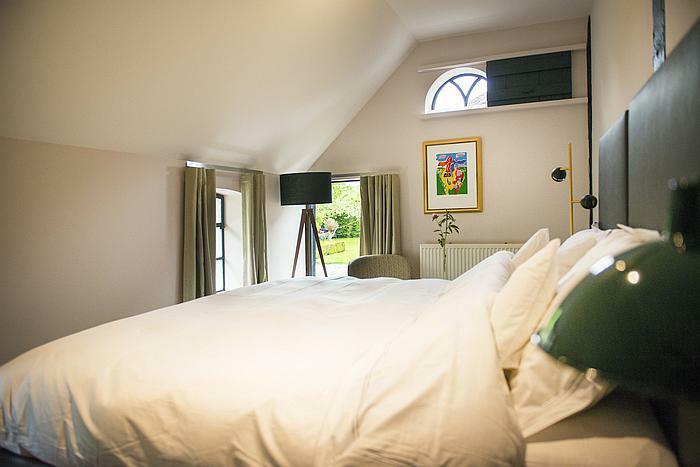 Sleep in the peace and quiet of a rural setting. Do nothing but relax in the orchard. That is what the De Heeren van Tuil experience is really about. De Heeren van Tuil serves a superb breakfast – varied and plentiful. Every morning healthy and fresh seasonal produce is brought to your table. A change of environment is often the way to generate energy and create a new dynamic. 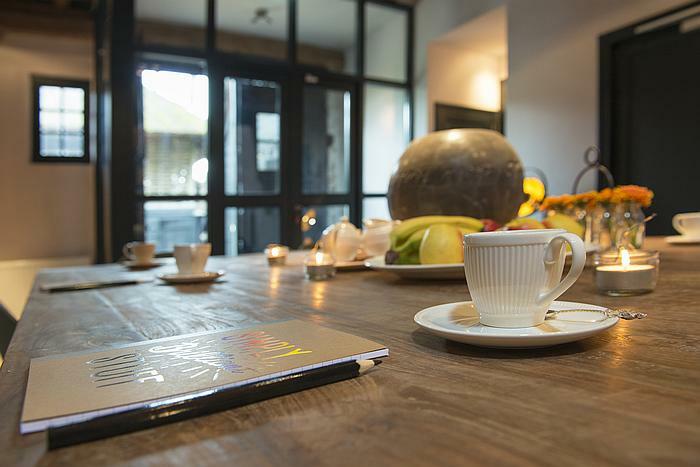 This is why De Heeren van Tuil is the ideal location for private meetings and discussions. Collecting antiques and modern art is a family tradition, linking the past with the present. Be inspired during your stay. We all try to get the most out of our daily lives. Taking time to rest and relax is an important part of achieving this goal. For maximum relaxation book the invigorating Jacuzzi arrangement. The listed farmhouse De Heeren van Tuil is located in Tuil, a village in the Betuwe area close to Zaltbommel, ‘s-Hertogenbosch and Geldermalsen. Just half an hour drive from Utrecht. We had the honor to be the first guests to be with the lords of Tuil. 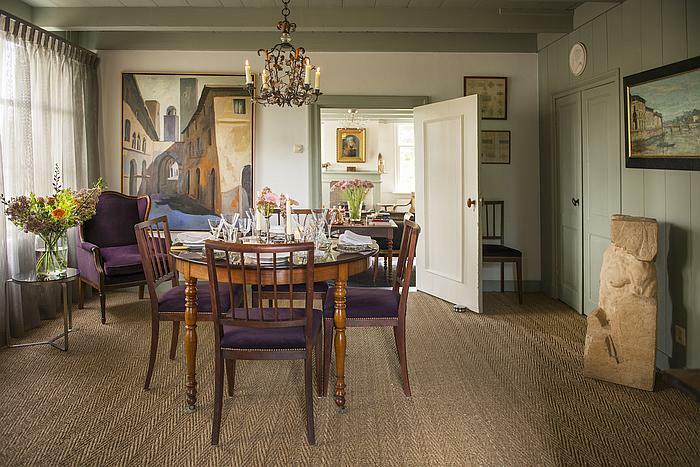 What a beautiful location; Very tasteful and styled with more than modern comfort. Service of top hotel quality with personal touch. A place to be delighted. Our guest room was nice, clean and decorated with taste. The bed was huge (2m) and comfortable, the bath tub was also big, perfect to enjoy a nice bath. The breakfast was delicious (cheese, ham, berries, melon, cherry tomatoes, yoghurt, juice, tea/coffee, nice bread, croissant). The hosts are really nice and friendly. It’s definitely worth the price. We spent a really nice weekend there! It was fantastic in one word. Delightful room with jacuzzi to unwind. The host understands very well what hospitality is, excellent dinner and delicious breakfast with some fresh products from the region. I would definitely come here again. De HEEREN van TUIL – a unique experience! Willem Bleuland van Oordt and Joost-Jan Stolker are De Heeren van Tuil. 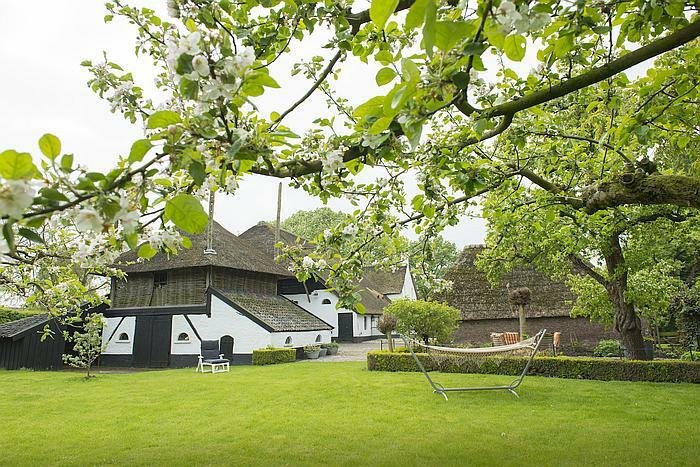 The proud owners of ‘De Lindenhof’, a historic listed farmhouse that dates back to 1720.